Click here to see a trailer for The Upside. The Upside is a PG-13 dramedy (drama/comedy) inspired by a true story, but is also truly inspiring in itself. 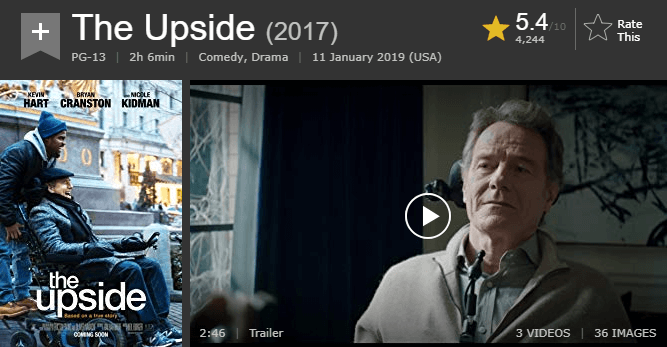 The Upside is well acted, heart warming, funny, and will leave you feeling good. 4,244 IMDb users have given The Upside a weighted average vote of 5.4 / 10 stars. 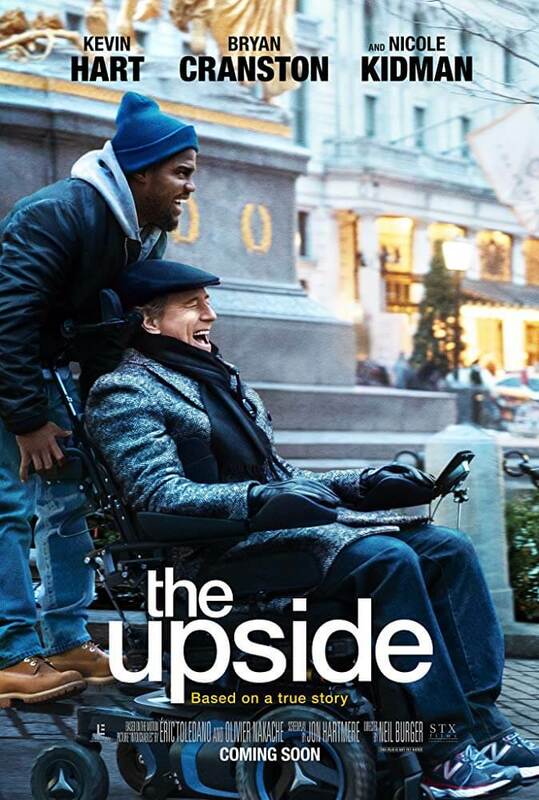 Users admit The Upside is not the best movie in the world, but it is definitely a movie that will leave you smiling in the end. They also think that Kevin Hart really held his own and the match-up with Bryan Cranston and Nicole Kidman was brilliant. Critics on Rotten Tomatoes gave The Upside a 40% on the Tomatometer. Critics say Cranston and Hart are surprisingly good together. Their Chemistry goes a long way to making up for the presence of several extraneous subplots. Critics of Metacritic gave The Upside a 45 on the Metascore board. This Metascore of 45 is based on 10 positive reviews, 20 mixed reviews, and 6 negative reviews. Critics say this is a film that contains complicated, sad, interesting ideas that are rarely expressed on screen. Unfortunately, some critics note the film as a whole never takes flight, though not for lack of trying. Six adventurous strangers travel to a mysterious building to experience the escape room, a game where players compete to solve a series of puzzles to win $10,000. What starts out as seemingly innocent fun soon turns into a living nightmare as the four men and two women discover each room is an elaborate trap that’s part of a sadistic game of life or death. 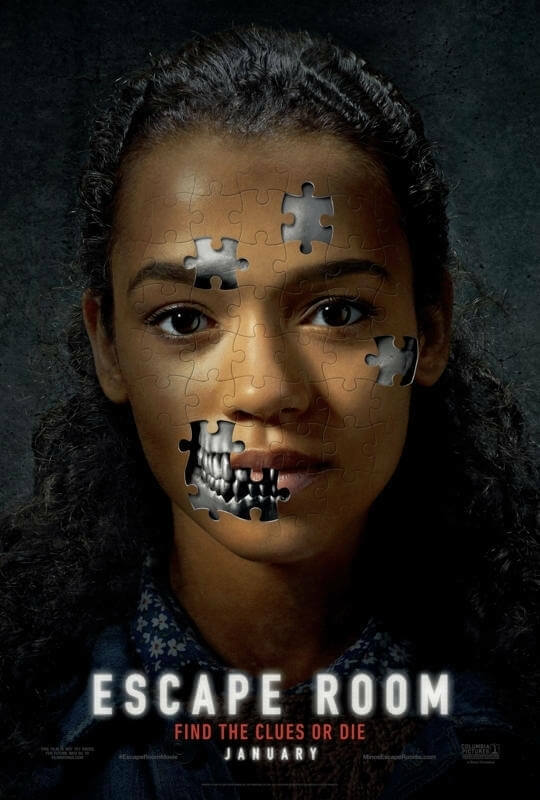 Click here to see a trailer for Escape Room. Escape Room is a fun joy ride and is a movie that won’t waste your time. Although it may not be Oscar worthy, it is a film that is enjoying to watch and get excited about. 3,938 IMDb users have given Escape Room a weighted average vote of 6.4 / 10 stars. IMDb users think the acting is great, but more importantly Escape Room has a exceptional story. Users specifically appreciate the clever idea of combining aspects from the Saw films with modern escape rooms. Critics on Rotten Tomatoes rated Escape Room at a 53% on the Tomatometer. 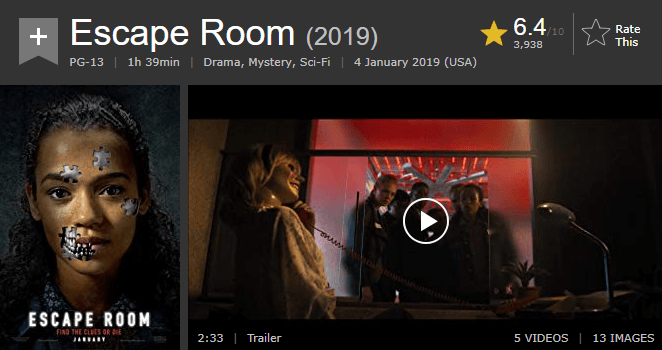 Some critics call Escape Room an incredibly watchable movie and mostly satisfying experience. Others just want a thriller that is scary or shocking, because this one just waffles between being predictable and absurd. Critics of Metacritic gave Escape Room a 49 on the Metascore board. This Metascore is based on 5 positive reviews, 12 mixed reviews, and 4 negative reviews. Critics say the film starts right and the film gets some airy momentum going. As the film goes along some think it becomes a little too contrived. Click here to see a trailer for A Dog’s Way Home. If you want to be swept up in an awesome adventure and don’t mind a few tears, A Dog’s Way Home is for you! This PG drama is harmless enough and a nice little adventure that’s fit for the whole family. But you might want to have the tissues ready. 602 IMDb users have given A Dog’s Way Home a weighted average vote of 6.3 / 10 stars. Most users describe this movie strictly as a feel good movie about animals and nature. Others say A Dog’s Way Home is filled with excitement, fun, and tears of joy. 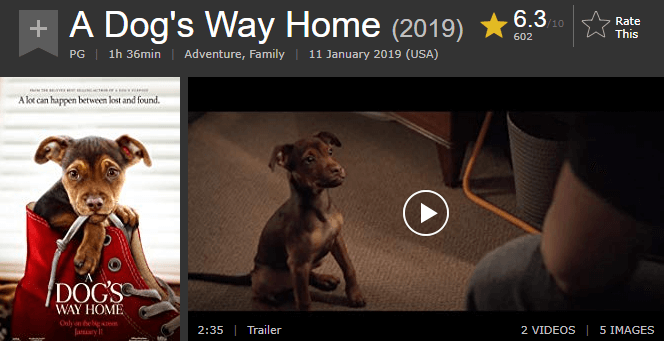 Critics on Rotten Tomatoes gave A Dog’s Way Home a 57% on the Tomatometer. Critics say A Dog’s Way Home does not do anything new with the formula of the classic dog movie. But A Dog’s Way Home does deliver exactly what is promises – a movie that is cute, with just enough tension to not scare the youngsters. Critics of Metacritic rated A Dog’s Way Home at a 49 on the Metascore board. This Metascore is based on 3 positive reviews, 8 mixed reviews, and 2 negative reviews. 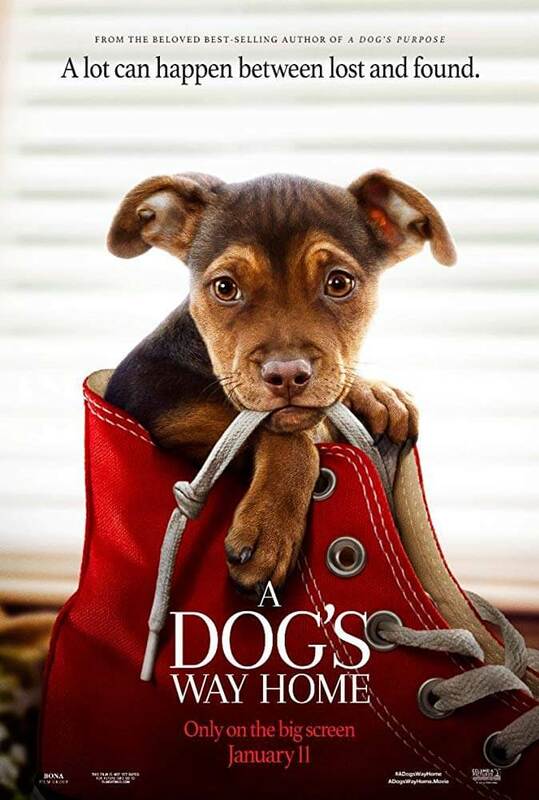 Critics say this film pretty much packs every canine cliché imaginable into its running time, but one look into the soulful eyes of its four-legged star will melt all but the coldest of hearts. Libby Lamm, a former top national security adviser, signed off on a controversial military action that was supposed to end the war on terror. The problem: thousands died under false pretense. Haunted by what she knows, Libby risks everything and sets out to tell the truth.